In a bizarre case involving alleged witchcraft, a local shaman and a family dispute, police rescued a 28-year-old woman who had been held captive in a hole for 15 years in Central Sulawesi on Sunday. 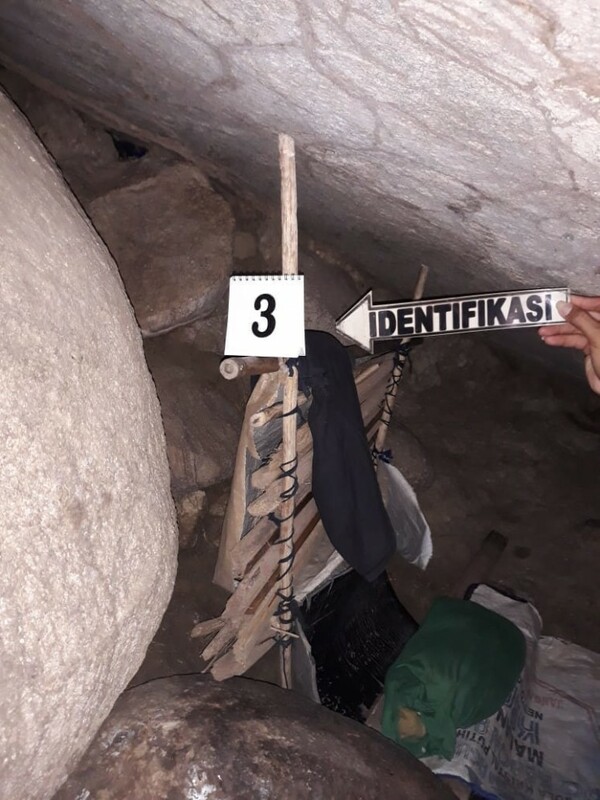 The woman, identified only as HS, was found in a crevice between several very large rocks near Galumpang village, Tolitoli regency, Central Sulawesi, after police received a report that she was being hidden by an 83-year-old village shaman named Jago. The victim’s family had long lost hope that she would be found and had given up, but after detaining and interrogating Jago, police discovered that HS was being held in the hole, the entrance to which measured around 1 by 1.5 meters, and rescued her. “We found the victim in a gap between rocks,” Tolitoli Police chief Adj. Sr. Comr. M. Iqbal Alqudusy told The Jakarta Post on Monday. 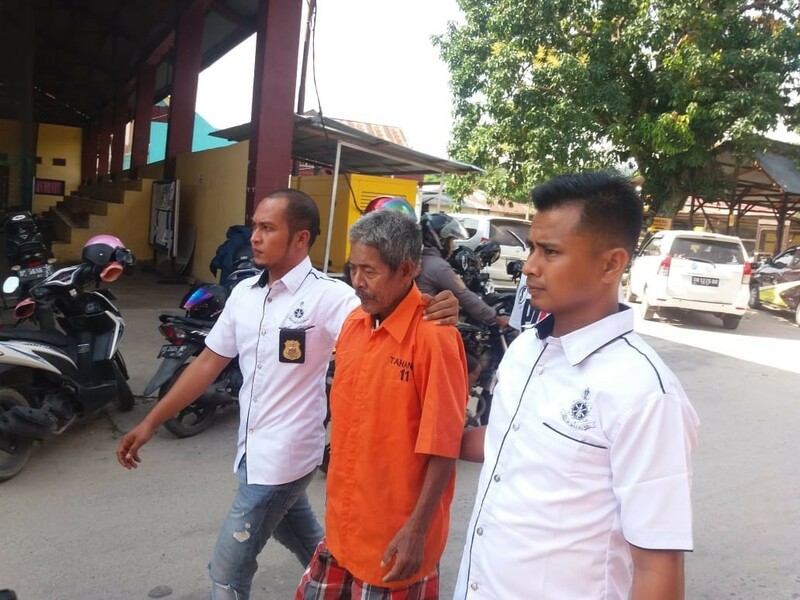 Iqbal said police were still investigating further, but that based on preliminary findings, they suspected that Jago was holding HS to fulfill his sexual needs. Iqbal said Jago himself had said he kept HS as a sacrifice to conjure a jin (spirit). HS told police she had missed her period several times and Jago had given her a potion to abort the fetus. The police have declared Jago a suspect and charged him under Article 76e of the 2014 Child Protection Law, with more charges likely to follow. The article forbids people from threatening, forcing, or deceiving children to participate in fornication and carries a maximum sentence of 15 years' imprisonment. According to Iqbal, Jago was well known in the village for his traditional healing methods, and was also consulted by residents who were experiencing marital, romantic or business problems. “When he treated people, [Jago] would act as if he was being possessed, so many people believed him,” said Iqbal. Village resident Sugeng said Jago was reported to have tricked HS, who was only 13 at the time, by promising to marry her to a jin that he was friends with. Jago also reportedly told HS that the jin was guarding the hole where she was hidden to stop her from leaving. “The victim seems to have been brainwashed, making her afraid to run away and afraid to meet other people because she was being watched by a jin,” Sugeng said. He added that after HS' initial disappearance in 2003, Jago told her parents that he had seen her leave for Jakarta to find work. In a bid to convince them that HS was really in Jakarta, Jago delivered basic foodstuffs to her parents and claimed that they were the results of her working in Jakarta. As more time passed, Jago said he no longer knew of HS' whereabouts, and HS' parents eventually gave up looking for her. “The whole thing was just made up by [Jago],” Sugeng said. In another twist to the tale, the victim’s sister allegedly knew about her ordeal. Her sister is married to Jago’s son so she kept quiet until she argued with her husband and threatened to report Jago's kidnapping of her little sister. A neighbor heard her statement and reported it to the police, said Sugeng. Both the sister and her husband were questioned by the police, with a possibility of them becoming suspects depending on the results of the investigation. Central Sulawesi women’s rights activist Eva Vande denounced Jago’s deeds and urged police to take firm action. “The perpetrator needs to be severely punished,” she said. National Commission on Violence Against Women (Komnas Perempuan) commissioner Magdalena Sitorus said the commission had yet to receive a report on the case but would provide recommendations if they were called upon. She added that law enforcement should thoroughly investigate the case to ensure that all the facts come out. “Since the perpetrator was well-respected in the village, there is a possibility that there are other victims that have not yet come forward because they are afraid,” she said. She said that authorities should also pay special attention to HS as she would have suffered severe trauma during her years of confinement. Karina M. Tehusijarana contributed to this story from Jakarta.